Rustic interior - 6 photos that will make you fall in love with this style! Rustic interiors surround household members and visitors with a cosiness, warmth and idyllic homely atmosphere. 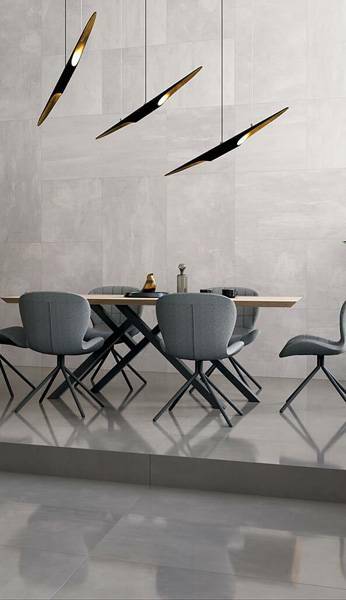 Simplicity and naturalness apply to every aspect of the interior – the way of finishing walls, ceilings, door and window frames, the casual arrangement of the equipment, furniture, as well as all materials and accessories. This method of arrangement is conducive to a peaceful, cheerful life, in harmony with the passing time and the rhythm of nature. The idyllic style draws much from nature. Here, the time that takes its toll on materials and items, ennobles. Ceramics with edges worn by passing years, wood with clear traces of many years of use, stone reminiscent of old times – are the most characteristic elements of the style. They are complemented by natural fabrics with simple floral or striped patterns, as well as laces and other authentic handcrafted items. Folklore accents are sometimes present, but they are not a dominant element. The palette of idyllic colours includes primarily the colours of the earth: beiges, browns and greys in the broad range of shades, as well as white. Linen, embroidered napkins, sheepskins, thick woven wool carpets, wicker baskets, genuine wax candles – are other characteristic elements that you can find in a rustic interior. Brick tiles also perfectly fit into the idyllic style. Time has stopped here in a halcyon suspension. Rodoni collection, Ceramika Paradyż. Rustic interior fills you with good energy. Here you can feel really free and unrestrained. Guests love the atmosphere of the idyllic interiors. Calm conversations flow here unhurriedly and allow you to enjoy the company of loved ones. The rustic kitchen smells of local herbs and baked bread. Sushi is not a popular dish here 😉 It is a place of pancakes with home-made jam, broth, roast and potatoes with dill. The arrangement taste usually translates into the culinary taste of hosts. The rustic kitchen is clearly organised and equipped with simple furniture. 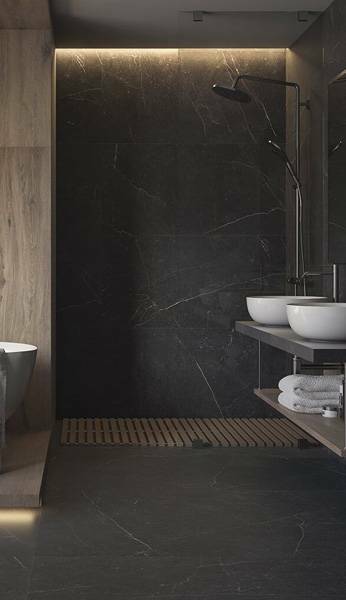 The simple shape of the tiles can have small decorations in subdued dark colours. The whole should create a functional space with a note of sweetness. The rustic kitchen should be delicate – both in function and decor. Wood, traditional kitchen cabinets and tiles, in which a decorating element is – apart from fine patterns – the way of laying them. Rodari Collection, Ceramika Paradyż. 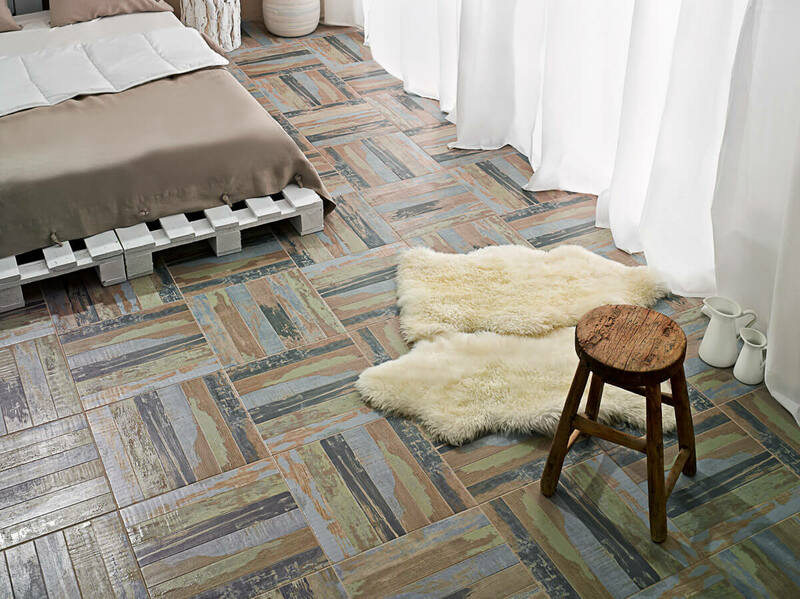 The modernised rustic style draws from tribal motifs, including a narrow monochrome palette of sandy colours. 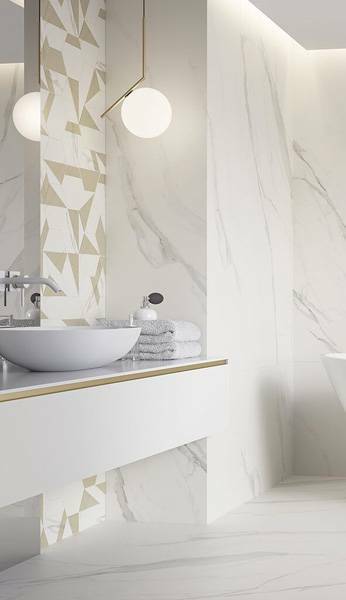 Fine patterns, along with typical elements of the style – a woven rug or a wicker basket – emphasize its presence in the bathroom. Use soft textiles and wicker baskets to give the bathroom a rustic feel. Tigua collection from the My Way brand, Ceramika Paradyż. Fans of stronger decorative elements need more aesthetic stimuli. It is also possible to use them in the rustic style, neatly combining a number of typical elements. Decorated worn-out walls, furniture with engraved legs, lamp in the shape of a multi-armed candlestick, mirror frame, laundry baskets and characteristic tiles with aged edges, fine patterns on tiles and multi-coloured floor – this is an example of a rustic bathroom with a strong, distinct character.. 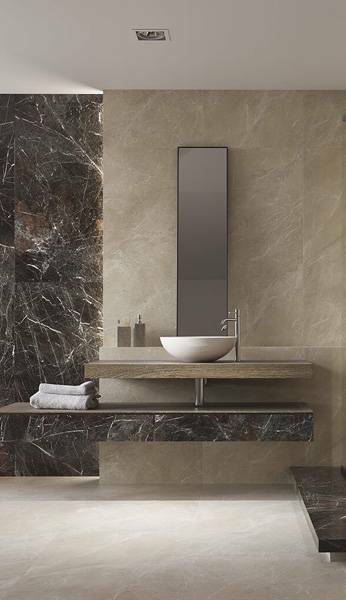 The rustic style of the bathroom should not exclude the use of modern appliances. 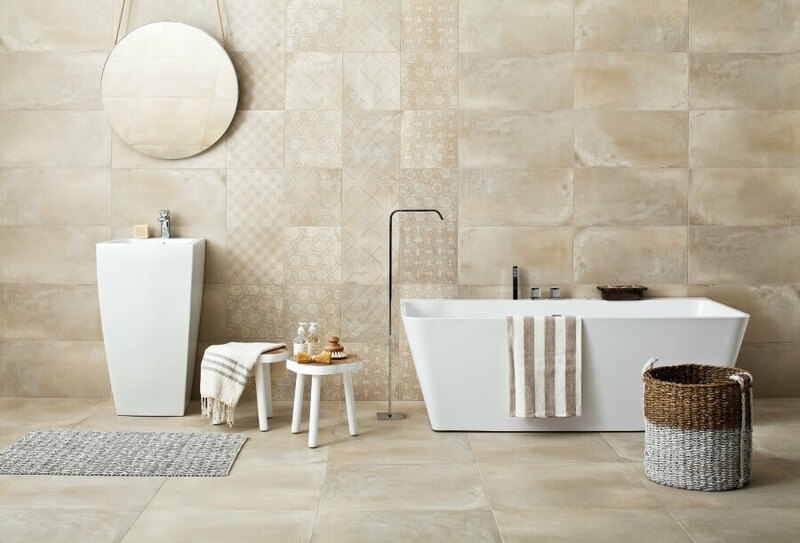 On the contrary – the free-standing bathtub and washbasins, complement the aged ceramic tiles. Antico / Arke collection, Ceramika Paradyż. The most important thing in the idyllic bedroom is a peaceful sleep. It’s easier to achieve thanks to the simplicity of the equipment, soft bedclothes, airy curtains and warm sheepskin. 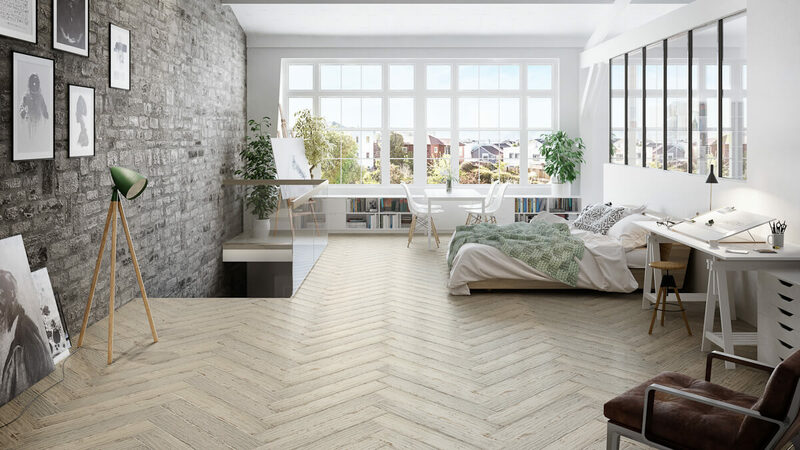 The floor is also not without significance – made of natural or ceramic “boards”, looking as if it remembers the happy times of our grandparents, and at the same time making life easier thanks to its easy maintenance. The power of additions – patchwork bedspread and soft textiles will make every morning definitely warmer. Herrera collection, Ceramika Paradyż. A rustic style is definitely a timeless one. Applied consistently throughout the apartment or house, creates a friendly atmosphere felt already at the threshold. For such interiors, it is good to choose wood – the more raw and time-worn, the better. Any imperfections – knots, uneven colouration or cracks, will be very welcome here. Textiles usually have patterns of fine flowers and check in toned colours. Embroidery and laces also look great here, as do thick wool carpets and natural leathers. It is good to remember about moderation when arranging a rustic interior, and do not exaggerate with the distinctness of individual elements. You will be able to enjoy the warmth and cosiness of such an interior for many years then. What to keep in mind when arranging an interior in the rustic style? Are you looking for more inspirations? Definitely, check www.paradyz.com.